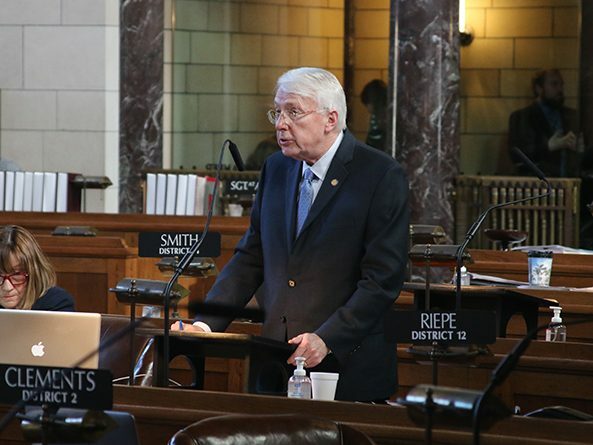 A bill that would ensure Nebraska compliance with federal regulations related to certain developmental disability facilities advanced from general file April 11. 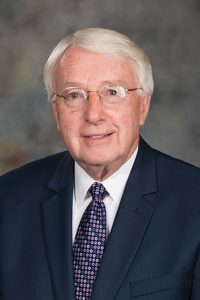 LB605, introduced by Ralston Sen. Merv Riepe, would allow the state Department of Health and Human Services (DHHS) Division of Medicaid and Long-Term Care the flexibility to modify provider rates as needed to comply with federal regulations. The bill would revise provisions of the Intermediate Care Facilities for Persons with Developmental Disabilities (ICF/DD) Reimbursement Protection Fund by allowing Nebraska to fully maximize federal matching funds available for the state’s ICF/DD provider tax. Under current state law, the division collects a provider tax for these facilities. Riepe explained that the tax proceeds go into the reimbursement protection fund, which is used for a variety of purposes, including providing enhanced rates to ICF/DD providers by using the tax proceeds to match state funding with additional federal funding. Current law mandates that the state change provider rates for these facilities based on the collection of the provider tax. However, DHHS is not able to ensure the rates paid to ICF/DD facilities meet the strict parameters of federal regulations, Riepe said. “LB605 would allow ICF/DD providers to continue to receive enhanced rate funding for services provided to clients to the maximum extent allowed by the tax revenue and federal regulation,” he said. The bill advanced to select file on a 32-0 vote.